Here, we break down the Nationals contenders in every region in the Women’s Division and give you what you need to know to follow all the action this weekend. For the first time since the regional redraw in 2011, the Great Lakes region has two bids. The top Great Lakes teams — #9 Chicago Nemesis and #20 Columbus Rival — are grateful for the breathing room. Last year, Rival knocked Nemesis out of their cozy top spot to attend Club Nationals in Rockford, IL. It was the first time Nemesis missed Club Nationals since 2007, and it was Rival’s first appearance. Those were last season’s scores and last season’s narrative. This year both teams return stronger, and they’re locks for the two bids. Nemesis surged back onto the scene with several marquee roster pickups and extra doses of focus. They’re ready to “Empty the Tank” in every game, and it shows in their defense. Nemesis has long been a strong, athletic team, but the difference this year is a steadier mental game and the addition of several powerful new pieces. Rookie handler Jenni Corcoran adds serious firepower in their backfield, particularly in zone offense, while returners like Monica Matsumoto are lengthening their deep game. Nemesis built from a sixth place finish at Solstice in June to second at Select Flight Invite and then a first place victory at Elite-Select Challenge, where they powered through a 13-9 win over Seattle Underground. Nemesis hasn’t lost a game since July, and they’re well positioned to claim the top spot at Great Lakes Regionals this weekend. Their path past Columbus Rival on Sunday won’t be simple. While Rival didn’t win their most recent game against Nemesis, they bested them earlier this season 13-9 to win the Select Flight Invite. Rival returns their star playmakers this season, including Sara Scott, Sophia Knowles (2016 BPOTY Runner-Up), and the wonder twins combo of Tracey Lo and Hannah Henkin. The team thrives on big plays from this core, but they have the depth to last through tough games, and they’ll be hungry to claim the Great Lakes throne again. There’s a significant drop-off after these top two teams. 3-seed Cleveland Notorious C.L.E. is developing into a more nationally competitive team, and 4-seed Indy Rogue consolidates some of Indiana’s stronger players who previously commuted to compete. But the only game worth bringing popcorn to this weekend will be the rematch between Nemesis and Rival on Sunday. This season has been a bit of low tide in the Mid-Atlantic region. The regular season results yielded just a lone assigned bid for the eight teams attending the regional championships to aim for. While that’s been the case for three of the past five seasons, this year, it feels like the ball is firmly in the grasp of #5 Washington DC Scandal, the top seed and heavy favorite. And their grip is simply too tight. #24 Pittsburgh Hot Metal, #25 Philadelphia Green, and Washington DC Grit provide the potential pitfalls for Scandal and will be looking for any sign of weakness to grasp on to. Perhaps the best thing to watch in pool play will be another round in the rivalry between Hot Metal and Green, who have been the second tier teams in the region since Scandal arrived on the scene. They finished 1-1 in their Sectionals matchups, with Pittsburgh dominating in the final to win the tournament. That was the first time Pittsburgh notched a win in this matchup since 2014, ending an eight game streak for Philadelphia. Hot Metal gets success from chemistry, with a large contingent of University of Pittsburgh’s women’s team, including coach Ben Banyas, providing the necessary balance of ingredients. That could give them the edge over their cross-state opposition, who underwent a lot of turnover this offseason. Grit hopes to live up to their namesake, coming in seeded ahead of Green, but don’t have the results to make the strongest case. They are 0-3 against Hot Metal this season. But players like Lukiih Cuan and, hot off a great year in women’s D-III, Grace Castro could push them to newfound heights at Regionals. However, the shadow cast by Scandal envelops the region. Jenny Fey and Sandy Jorgensen are perhaps the most fearsome duo in the women’s division, and the roster is replete with intelligent and hard-nosed defenders and gritty players. There’s depth to Scandal far beyond what the other teams in the region have, and while the division’s best teams have been able to beat them, nobody else has. The talent gap is such that Fey and Jorgensen won’t need to be at their best for the team to get wins. The top seed has faced very little resistance in previous regional championships and there is little evidence to imply that will change in 2017. For the first time since the redraw in 2012 created the region, the North Central will send a team to Nationals alongside Madison Heist. Madison has been the region’s sole representative each of the past five years, but this year — with two bids available — they won’t have to win out at Regionals to earn their invitation to Sarasota. Good thing, too, since they don’t even enter the weekend in Hartland as the top seed. #15 Minneapolis Pop have had something of a program revival this season, getting back to nationally relevant for the first time in more than half a decade, after making three consecutive Nationals from 2008 to 2010. In addition to impressive victories over 6ixers, Rival, and Wildfire, the ladies from the Twin Cities picked up their first ever win over regional foe Heist at the Elite Select Challenge in August. Minneapolis finished the regular season at a lofty seventh in the USAU rankings and enter the weekend as the deserving top seed. Pop’s unassuming roster doesn’t have many names that jump off the page, but that belies the team’s depth. Anna Reed confidently marshals the offense, firing frequently to Biz Cook. Courtney Kiesow brings title-winning experience and leadership to the squad while Carleton’s Claire Thallon provides the youthful energy and swagger. They’ll need to get a full team performance to knock off a much fuller Heist roster than the one they topped in Appleton. Despite coming in as a two seed, #11 Madison Heist might still be favored to come away with the regional title. While less talked about than Cardenas in Denver, Heist also landed a top flight international pickup for the Series, hosting Australia’s Michelle Phillips. Robyn Wiseman continues to stuff the staff sheet, Georgia Bosscher will always be able to do jaw-dropping Georgia Bosscher things, and Sarah Anciaux has been the kind of marquee addition everyone expected her to be. There is depth to be found in Madison too, as injuries and absences from their stars pushed some role players into larger roles through the regular season. While their regular season was a bit underwhelming, a lot of their inconsistency can be chalked up to playing without a full strength roster basically all season. When all the pieces are there for Regionals, they should coalesce into a team that can again win the region. #22 Kansas City Wicked are also having an up year, though their disappointing performance at the Elite-Select Challenge may presage that their ceiling is well below that of a Nationals squad. They have dominated lower ranked teams, but went just 1-6 at ESC and didn’t come close to any 2016 Nationals qualifiers. Their best hope is for an extremely close and hard-fought final between Pop and Heist while they win easily into the game-to-go. Perhaps they can stun one of the favorites coming off of a tough loss. If you’re feeling some deja vu, it’s probably because the Northeast looks a heck of a lot like it did at Regionals last year. Two bids, four teams. #2 Boston Brute Squad is poised comfortably at the top, followed by the #6 Toronto 6ixers’ sophomore team. However, it would be impossible to say that Boston’s second team, #17 Boston Siege, or #18 New York BENT are really on the outside looking in. The bid cut-off is more like an inconvenient line just asking to be crossed. Not to dig up the past, but last year’s Regionals saw huge upsets throughout the weekend. We shouldn’t forget that BENT dethroned Brute Squad in the first round of play on Saturday morning, or that Siege surprised BENT in the backdoor route to the game-to-go. In the end, it was Quebec’s Iris that took the second bid to Rockford; wild results are the norm in the Northeast. It’s possible that no one gave Brute Squad as much faith as they should have going into the season. With regards to the departure of Leila Tunnell and Laura Bitterman, it appears that it has only provided an opportunity for growth in the depth of their roster. With Lien Hoffmann, Kami Groom, and Becky Malinowski’s veteran chemistry, movement is effortless. Amber Sinicrope’s precision throwing is only cemented by the storied return of Emily Baecher and ESPNW superstar Claudia Tajima. The defense is powered by Dartmouth duo Julia Werffeli and Angela Zhu behind the disc, alongside Cassie Wong and Lauren Sadler’s pressure. Boston has wins over every elite team in the top ten they’ve faced, and they will certainly be taking this weekend as a step towards playing for the crown in Sarasota. The favorites to take the second bid are the 6ixers, who seem to have come back from last season’s abrupt end with a ton of energy. Seemingly on a trajectory to peak at just the right time, they racked up an impressive gold medal upset over Traffic at the Canadian Championships and haven’t looked back at last year’s Regionals flop. Relying on the heart and grit of their U24 representation, Anouchka Beaudry and Laura Kinoshita are particularly able to break down defenses with their relentless movement. At the core of both offensive and defensive lines is former Capitals leadership: Sarah Bobak, Jordan Meron, and Jeannette Quach. The 6ixers high-octane defensive energy has been key to catching teams off guard, and they will certainly rely on that with their sideline volume to push themselves this weekend. In any case, Toronto is right where they need to be. They already have decisive wins over Siege and BENT this season, and they only have to do it again to make it to Nationals for the first time. Coming in at the three seed is another hometown hero: Siege. They’ve had a successful season, first winning the Boston Invitational back in June, and then facing some extremely strong competition in Colorado at the Elite-Select Invite. With wins over Rival and a blowout over BENT, they should certainly go into this weekend with confidence. After a summer of playing against high pedigree teams like Molly Brown, Scandal, and Ozone, Siege has the elite experience to turn it on in Devens. Despite a lot of roster turnover from last year, the strength in the Boston pipeline has showed that Siege will definitely be in the running to claim the second bid. The last team in strong contention is legendary wildcard BENT. What BENT will show up this weekend? They’re 0-3 playing against the top three teams in the Northeast this summer, but they’re scrappy and ready to shoot the long ball until it works. They’ve had a tough season losing close games to top twenty teams, but they’ve closed out some clutch wins over Schwa, Hot Metal, and Nightlock. If they can find their stride this weekend, BENT could steal a bid. An embarrassment of riches. That’s what the Northwest is. Portland Schwa’s mediocre season was enough to bring this region a fourth bid to Sarasota, the highest concentration of bids since 2015 when the Northeast sent four teams. Now it’s the Northwest’s turn to dominate a quarter of Nationals. The Evil Empire lives on. Nobody is coming for #1 Seattle Riot‘s Northwest Regional crown. This season, they’re starting even further ahead of the pack. Their defense handled Brute Squad to win the Pro Championships, and they look poised for a better and deeper run than they have in several seasons. Riot tightened the screws on their person defense this season. They apply the toughest handler defense in the division, and their efficiency on the turn helped them better control tough games at the Pro-Elite Challenge and the Pro Championships. The past few seasons have delivered a lot of silver to Riot’s trophy shelf. This season, they seem more ready for gold than they’ve been in years. Despite a more colorful regular season, #7 Vancouver Traffic is the likely contender for the Northwest’s second bid. They’re 5-8 in the Triple Crown Tour, but their strong Nightlock and Ozone wins at the Pro Championships indicate that they can take care of business. They could lose a game to Seattle Underground or to Portland Schwa, but it’s a risky bet. #10 Seattle Underground began the season with one of the strongest sets of pickups, but the turnover has shown throughout the season. Underground can get hot and play up in elite games, and then they can crumble during tough halves against random opponents. Four bids lifts the stress of battling Schwa on Sunday in the game to go, but that rematch is always a grudge match for the rivals. Schwa has history behind them for Sunday at Regionals, even if Underground has had the better season. #17 Portland Schwa reeled in the Northwest’s final bid after key wins at Elite Select Challenge after a season of building. They also saw a healthy dose of turnover, but big ticket additions like Tina Snodgrass and Mariel Hammond kept Schwa’s star high this season. With so many bids to go around, the chances of another team getting hype in the game to go get much higher. The #23 Sneaky House Hippos (SHH) pushed both Schwa and Underground in their regular season games, and Salt Lake City Elevate have a slew of local wins and close games under their belt. In the 2017 College Nationals semifinals, Colorado Kali and Texas Melee squared off in one of the best matches of the tournament. Now their club equivalents get the chance to keep the rivalry alive. This is the story coming from the South Central. Outside of these two, there really is next to no chance another team will make Nationals. #3 Denver Molly Brown and #13 Texas Showdown both have played at an incredibly high standard all season and their competition has simply played no big games to prepare themselves to challenge these two. For those that follow the division, Showdown vs. Molly Brown should be competition enough. Molly Brown is having their best season since the team’s inception, despite the injuries that have threatened to drag them down. Molly Brown has figured out an offensive system that rewards their incredible downfield athleticism and spectacular handler core. A lot has already been said about the team’s center handler Claire Chastain, but she lives up to all the hype. There is no player in the Women’s division that punishes lazy defense like Chastain. Paige Applegate was one of best kept secrets in Colorado before her breakout season last year; 2017 seems to be more of a victory lap for her. Manuela Cardenas has not even picked up a disc for the Denver squad and yet she’s already being talked about as one of their most critical defenders. Molly could easily have allowed their injuries to be the focal point of their season; instead, they will be a footnote. More so than any other team in the Women’s division, Showdown has had a good off season. Between their rostered Melee players making the finals at College Nationals, and the Forth twins displaying their ample talent with the EuroStars Tour, there was a lot to like from the Texas squad. But it did not translate for them perfectly into the regular season. At their initial tournaments, they looked unfocused and strangely fatigued. Showdown has been a gritty team that likes to force their opponents to play to their rhythm. Early in the season, their rhythm simply involved too many turnovers and sloppy miscues. This has been slowly changing. Showdown rebounded well at the Elite-Select Challenge and had statement wins over competition similar to their skill level. They should be heading into Regionals with confidence. While they still rely heavily on their veterans, their younger players are showing signs of playing to their potential. Molly Brown is playing their best ultimate and it will certainly be a challenge for Showdown to match it. This season, their only head to head game resulted in a 15-5 victory for Molly Brown. Showdown’s hope should be that they’re underestimated and can bog down the Denver offense. Texas will either have to elevate their offense to match Denver’s, or drag Molly Brown down to Showdown’s run’n’gun style of play. Regardless of the outcome, both teams should find their way to Nationals. The Southeast Region looks to feature one of the most obvious outcomes in recent memory. #8 Atlanta Ozone has been a top 10 team all season and usual rival #19 Raleigh Phoenix, while still a ranked team, is in the midst of a rebuilding year. No other team in the Southeast has stepped up to fill the void of a true challenger to Ozone’s dominance of the region. With major additions like Paula Seville, Kate Travaglini, and Kayla Emrick, and little attrition from last year’s Pro Flight qualifying team, Atlanta was a trendy preseason pick to join the top five teams that have dominated the division in recent years. They haven’t quite lived up to that hype. Ozone has no terrible losses, but also have no impressive wins. They have, though, affirmed themselves as quarterfinals contenders and as safe a lock to qualify for Nationals as just any team in the country. If — and it is a big if — a team were to steal the lone Nationals bid from them, that team would be Raleigh. Raleigh lost 15 players from a season ago and the roster features a strong college contingency that will be vastly less experienced than their Atlanta foes. 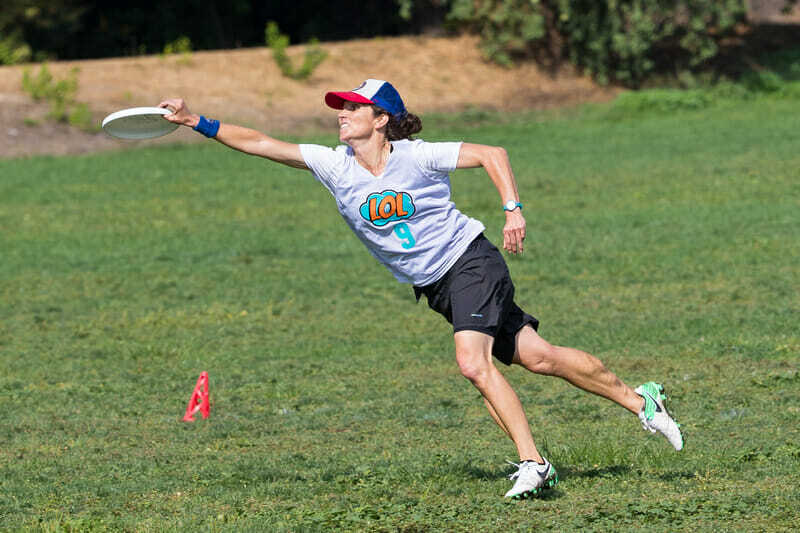 Star handler Jessi Jones is still around, but she’s primarily surrounded by new, unproven faces this season.1 Contrast that with Atlanta’s depth of experience and roster carryover from a year ago, and it’s easy to see why Ozone is such a heavy favorite. The two teams have two shared opponents this season. Both teams played Birmingham Steel early in the season. Both earned blowout wins. Atlanta went 2-1 against San Francisco Nightlock, with an aggregate score of 34-34.2 Raleigh split two games with Nightlock, with a deadlocked aggregate score of 22-22. While the two teams’ season results are similar, there’s no doubt that Ozone has been better team all season; for Phoenix to top them would be truly shocking. Atlanta is simply too talented and too deep. While Raleigh is a fringe top 20 team, and the clear second best team in the region, Atlanta is a contender to make quarters at Nationals in October and should win the region comfortably. In a situation similar to their male counterparts last year, the Southwest has two women’s teams that finished the season just outside the cutoff to earn a Nationals bid. Oakland LOL and San Diego Wildfire both had relative success during the regular season but couldn’t quite retain the third bid that the Southwest secured in 2016. Their loss is our gain, though, there are four4 competitive teams battling for 2 bids. This hasn’t been the most inspiring year from #4 San Francisco Fury. It’s wrong to say that they’ve been disappointing, but they certainly haven’t reached the heights that their roster indicates is possible. Despite making some large off-season signings with Opi Payne and Yelena Gorlin, Fury has yet to make a finals appearance this season. This should not prevent them from dominating their region. Fury has not lost their 1st place spot at Regionals in over a decade. The steady experience of their handler core and energetic cutters can solve almost any problem thrown at them. Katie Ryan is having a stellar season and Anna Nazarov continues to be a quietly ruthless handler. While Fury won’t have many problems dispatching their competition in San Diego, the high talent level present this weekend should help prepare them for Nationals. #12 San Francisco Nightlock continues to be Fury’s closest competition, but the gap seems to have widened. Despite flashes of brilliance from players like Jackelyne ‘Kobe’ Nguyen, Claire Sharman and Natasha Won, the team has had a tumultuous regular season. Big plays and terrific individual athleticism mean little without team chemistry. Nightlock needs to consolidate their talent if they plan on seeing Sarasota. The Bay Area women have never managed to field a full roster yet, and it has been evident in important games this season. Wildfire has improved greatly since Nightlock’s early season victory, and, to make matters worse, they haven’t beaten LOL yet. This year definitely saw Nightlock rebuilding their team identity. That said, a rebuilding Nightlock is still clearly a Nationals caliber roster. #21 Oakland LOL is yet another example of the incredible depth that the Bay Area has. They view themselves as ‘Ms. Steal Yo’ Bid’ for a good reason: the majority of their roster has been to Nationals in the past and know what it takes. And yet, apart from a defining victory over Nightlock way back in June, LOL hasn’t played elite competition all season. Until Sectionals, they hadn’t competed in a tournament since July. LOL has a lot of talent but an equal level of uncertainty. If they steal a bid, it may be because teams don’t know how to game plan against them. 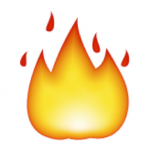 #16 San Diego Wildfire is the fourth team with a real shot at a bid to Nationals. The biggest story from Wildfire’s season was the loss of key veterans from the team that took them to Nationals in 2016. It was apparent in their terrible PEC performance, but since then, Wildfire has proven that they can compete at the highest level and has improved tournament to tournament. Their hope should be that they’re peaking at just the right time, but their NorCal competition looms large. Expect big plays from San Diego veteran Brenda Stevens on offense, while Erin Crider, Vivi Mai, and Kristen Pojunis marshal the defense. Outside of the top four, there aren’t many good bets to steal a bid. FAB and Deadly Viper Assassination Squad haven’t shown that they are able to compete with top tier talent and Viva struggled to come out ahead in their own section. Apart from Fury, no team in the Southwest has proven themselves dominant. As such, the potential for upsets should make this a region to watch. Comments on "2017 Women’s Club Regionals Mega-Preview"